PT Krakatau Posco Energy - KPE or referred to as "Krakatau Posco Energy" is a rapid growing electricity power plant company in Indonesia which is already established since 2011. Krakatau Posco Energy is an international joint venture company between South Korea's Posco Energy (POSCO Group) and Indonesia's PT Krakatau Daya Listrik (KDL), respectively with share ownership of 90% and 10%. PT Krakatau Daya Listrik is a directly-owned subsidiary company of state-owned steel producers PT Krakatau Steel (Persero) Tbk (Krakatau Group). Krakatau Posco Energy is based in Krakatau Industrial Estate Cilegon Banten and now has gas waste electricity power plant with total installed power capacity of 2 x 100 megawatt. The Construction stage of its power plants started in September 2011 with total investment of USD 250 million. Its power plants officially inaugurated in January 2014. Male, age of candidate under 27 years old. Have a TOEFL score min 485. Good personality, high integrity, and discipline. Willing to be stationed at Kawasan Industri Krakatau, Cilegon, Banten. JobsCDC.com now available on android device. Download now on Google Play here. Please be aware of recruitment fraud. The entire stage of this selection process is free of charge. 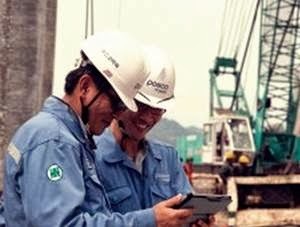 PT Krakatau Posco Energy - Fresh Graduate Maintenance and Operation SPV KPE March 2016 will never ask for fees or upfront payments for any purposes during the recruitment process such as transportation and accommodation.